Back in the zombie heyday of 2009, the idea of combining one of the most feminine pieces of literature with the oft masculine-marketed gory violence seemed like an interesting idea. I, for one, didn’t particularly care to read Jane Austen’s Pride and Prejudice, but this take on the romantic classic certainly piqued my interest. Because of the addition of zombies to this plot, I was impelled to read this story to see how these drastically different archetypes were combined. I certainly wonder if the book would have been more enjoyable if I had read Pride and Prejudice beforehand, or if I would have remained far abreast of it altogether. Partly due to the severe dichotomy of the original story and the zombie additions, there were certainly moments where I could tell what segments of Jane Austen’s plot were modified to fit the new, apocalyptic sensibilities. The two concepts worked together somewhat, occasionally adding action to a scene that would have likely been boring in its predecessor, but in maintaining the story and outcomes of the original, the whole experiment didn’t quite “gel” as it could have. Perhaps the addition of the prequel and sequel to this book helps to round out these distinct edges, but I have yet to read those books yet. When it comes right down to it, I struggled to get through this book. With the language and verbiage retaining is feel from the original, the archaic nature of the dialogue was not as easy to read as I would have hoped. 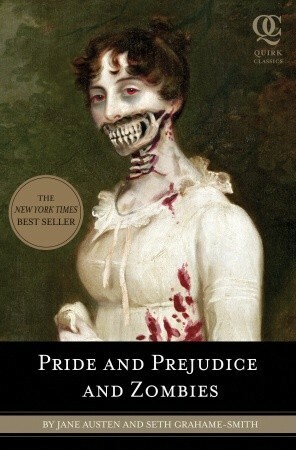 In the end, I was practically just reading Pride and Prejudice, but occasionally “changing the channel” to a zombie film whenever anything became boring. I applaud Seth Grahame-Smith for following through on this ambitious idea, but it almost seems like anyone could easily merge zombies to a romantic classic if they maintain the majority of the source material.